chai chocolate pansy cake | eating with S.O.L.E. For the icing on the cake, the possibilities are endless. 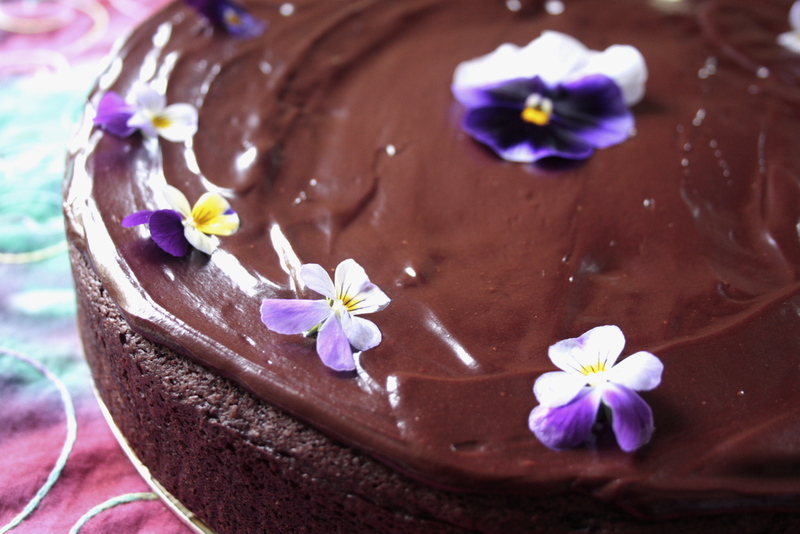 I made a chocolate gnache and decorated it with pansies. A dusting of cardamon sugar would be perfect, as would: a citrus glaze, a drizzle of melted chocolate or a dusting of cocoa powder. Whatever your combination of flavours, I am sure you’ll find this recipe as easy and surprisingly moist and fluffy as I have. *Oh and sorry for the lack of posts… I lost my computer for a week, and am just settling into a new one.